AC Propulsion builds the 2009 electric car called the eBox by converting a Scion xB 5-speed to electric power. The gasoline Scion xB costs less than $15,000 well-equipped and weighs less than 2400 pounds. Kurrent is a neighborhood vehicle (NV), which means it has four wheels and weighs less than 2500 lbs. It runs on the same standard electricity you use to operate your household appliances. Think of it as juice to go. Kurrent is not just a new car – it’s a whole new way to get where you’re going.Kurrent, when fully charged, will travel 35-40 miles at a constant speed of 25 miles per hour. With the 2009 Electric Aptera, it is very easy to figure out the mileage range. The mileage is determined by the distance you can drive, under normal circumstances, until the batteries are effectively drained. In the case of the first Aptera typ-1e, we have calculated the range to be about 120 miles. "Bigman" is a five passenger zero-emissions electric vehicle traveling up to 25 miles per hour. Its DC 48 Volt connected to a standard 110 outlet charger, requires a charging time of only 10 hours and zooms up to 75 miles between charges - a proven test performance. The pure-electric e6 features BYD's revolutionary battery technology - what we call the Fe battery. The range per charge is expected to be a remarkable 250 miles. 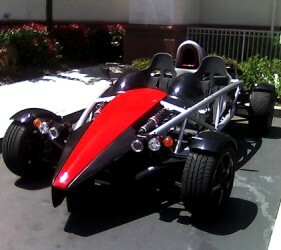 Performance is surprisingly brisk, with 0-60mph acceleration in less than 8 seconds and a projected top speed of 100mph. The Chevrolet Volt is a plug-in series hybrid vehicle to be produced by General Motors, expected to be launched as a 2011 model with production currently slated to begin in 2010. The Volt's propulsion system will be based on GM's new E-Flex platform. The Wrangler and Town & Country EVs both use a 94-hp gasoline engine, but the Patriot EV makes do with a 60-hp unit. At this point, the displacement of each engine is still unknown. Despite being down on power, Chrysler says the Patriot EV will have the same 40-mile all-electric range and 400-mile gasoline-assisted range as the Wrangler and Town & Country EVs. The alternative car is the Tango. Size does matter. As many as four Tangos can fit in one parallel parking space. Many parking locations also have spaces that only motorcycles and Tangos can fit in. Its 80-mile range is nearly 4 times the distance the average commuter travels per day. With high-tech batteries, range could exceed 150 miles per charge. Check out this years, 2008 electric car! Dynasty Electric Car Corporation designs, manufacturer and markets zero emission, electric Low Speed Vehicles (LSV's) for urban, recreational and light commercial markets such as planned and gated communities, destination resorts, industrial complexes and universities. Tthe Fisker Karma will offer consumers the ability to drive the car emission free for up to 50 miles a day, provided the car is charged every evening. It's feasible that if consumers follow this daily routine, they will only need to fuel the car but once a year. This means it will not only cut down on pollution and global warming, but on a consumer’s gasoline budget as well. If an electric passenger car is good, an electric people mover is even better. Ford Motor Company on Monday announced plans to bring an all-electric version of the 2010 Transit Connect to the North American market in addition to its 2.0 liter gasoline-powered model. From its seating for four to a variety of vehicle options. Add one of the three optional, interchangable carriers for exceptional functionality. The GEM e4 features a sunroof and six 12-V flooded electrolyte batteries for a range of up to 30 miles on a charge. Hybrid Technologies is a development stage technology company that is focusing its resources and efforts on the development and marketing of lithium-powered vehicles. The Lightning Car Company is developing of a range of 700 bhp Lightning electric cars, for the first time genuinely harnessing electric motive power and uniting it with class-leading sports car design, engineering and production. LionEV is a global company with manufacturing locations in China, Alabama, Virginia, and Taiwan. Our primary business is the development of High energy density batteries. With its mono-volume design, Porter Fontana grants the best results of versatility and driving controllability. For persons transport with 6 seats, Porter Fontana represents the best answer to present-day problems of city mobility thanks to its lowest cost of maintenance and the absence of gas and acoustic emissions. Miles Electric Vehicles is a manufacturer and distributor of full electric vehicles manufactured in China to meet international car safety standards. MILES was recently given the "Electric Car Company of 2007" award by Good Clean Tech. BMW is getting on the electric-car bandwagon with what may be the most stylish alternative-fuel vehicle to date, The Mini Cooper E plug-in is available in a limited rollout of 500 cars in New York, New Jersey, and California. Myers Motors, has upgraded the Sparrow, renamed it the MM NmG ("No more Gas"), and started selling it in April of 2006. As of June, the website lists a price of $29,995 without taxes or shipping for this years 2008 electric car model. Yes it runs on batteries, recharges from your wall 112 VAC household three prong (grounded) socket, no special adapters, no unconventional technology. $7,995 for the Base model. Phoenix Motorcars announced that it was on the road to producing over 500 Phoenix Sport Utility Trucks featuring more compact packaging of the Altairnano Nanosafe battery than originally projected.With a peak power output of 200 kW and low manufacturing cost process. The REVA is designed for city commuters across the globe, for an economical and pollution free driving experience. It is designed for low speed, congested, urban conditions. Being efficient and cost-effective, the REVA has the lowest running cost in the world! At Shockwave Motors we are committed to developing an efficient, three passenger, electric car. A personal transportation vehicle that is an innovative combination of the best of today's technology; sleek, aerodynamic styling; and conventional, lead-acid, traction batteries. The Smith Edison electric van is produced in partnership with Ford. Balfour Beatty entered a Smith Newton, the world's largest road-going electric truck. Both Edison and Newton have restricted top speeds of 50mph, impressive acceleration and a range of 100 miles on one battery charge. The Tesla Roadster, is an all-electric sports car. According to test results from an EPA certified laboratory, the car has a range of 221 miles. The company and reviewers state that the Tesla Roadster accelerates from 0 to 60 mph in less than 4 seconds, and has a top speed of 125 mph. The new TH!NK city has ABS brakes, dual airbags, and meets all European and US safety requirements. It has a range of 170 km (106 miles), a top speed of 100 km/h (62 mph). The VentureOne is a three wheeled vehicle being developed by Venture Vehicles for sale in 2010, with a hybrid and all electric propulsion options. It is classified legally as a 3 wheel motorcycle. The design is scheduled to be finalized in late 2008 with a nationwide rollout starting in early 2010. The Electrum Spyder is an exciting 2 passenger convertible all electric freeway flier that will be available in limited production. Powered by a 300 vdc system, the Spyder provides an effective range of up to 150 miles. The X1 prototype is just the beginning. It meets its design specs of 0-60 in 3 seconds, 170 mpg equivalent; and at 1536 lbs, is only 36 lbs over the design target of 1500. It really does raise the performance driving experience to a new level, even for racing drivers. Jointly designed by a respected team of European and US automotive engineers, the freeway-friendly Alias commands respect. Under its sleek, composite skin you will discover an engineer's masterpeice in form, fit and technological advancement. Recharging is simple and effortless via any 110V outlet..
ZENN is a 2-seat battery electric vehicle currently in production and built by ZENN Motor Company designed to qualify as a Neighborhood Electric Vehicle. It has a range of up to 40 miles and does not exceed 25 mph.